I caught a local realtor’s Facebook post a week ago and it reminded me of what we find is one of the major issues with joint ventures (JVs) and affiliated business arrangements (AfBAs) in the title and real estate industry. Here is the post in question. Chris asks the right question and the answer is simple. The only plausible way that this abysmal quality may exist is within a JV or AfBA. Let’s look at why. In the title industry, JVs/AfBAs are typically companies owned by developers, builders, real estate brokers or lenders. JVs allow those parties to capture another stream of revenue related to their primary businesses. With the proper disclosures and as long as they meet certain requirements, JVs operate legally under federal and state laws. That’s not the problem. The problem is that because of the nature of how JVs/AfBAs get their business, they are not products of the open market and do not have to operate as such. Most JVs don’t have to compete for their business. In Chris’ example, the builder/developer likely owns the title company and incentivizes the use of that company for each new construction sale. It gets business whether it has earned it or competed for it or not. Because a JV isn’t forced to compete for its business, it is not likely to have the qualities of a company that has been borne from competition. The JV will not have had to innovate; invest in technology; invest in its staff, whether through hiring experienced professionals or through training and improvement; maintain distinctively extraordinary levels of service; nor create exceptional experiences for the real estate professionals and consumers it serves. It will, as Chris related in her post, not have to care that their “closer” can’t explain the settlement statement. The title company is still going to get the business! I don’t begrudge the attempt to capture additional streams of revenue. But I absolutely begrudge the attempt if it negatively affects the experiences which real estate professionals and consumers deserve. So what can we do? We are still continuing to see low mortgage rates, increased housing prices and higher levels of consumer confidence, which are all contributing to an increase in home sales as we are moving into the spring home buying season. 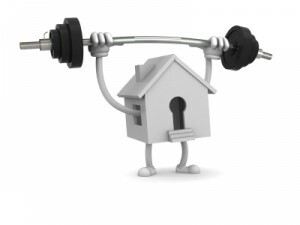 According to Freddie Mac and shared in a recent article by Housing Wire, this should be the healthiest spring home buying season as home sales are expected to increase from 8% in 2012 to 10% in 2013. Housing starts are anticipated to increase to 950,000 units for 2013 up from 780,000 last year. I also read a recent article from Zillow who also appears to support this information. The article covered 30 of the largest Metro areas stating that they all showed a gain in February. These areas all experienced both monthly and annual home value appreciation. It was also stated that February represented the 16th straight month of home value gains since the market hit the bottom in October 2011.